A mid-range green-yellow, useful for mixing middle value grays. Introduce non-staining complementary colors to warm or cool the mix. An inorganic pigment, it is considered non-staining (or low-tinting) and ideal for glazing methods. 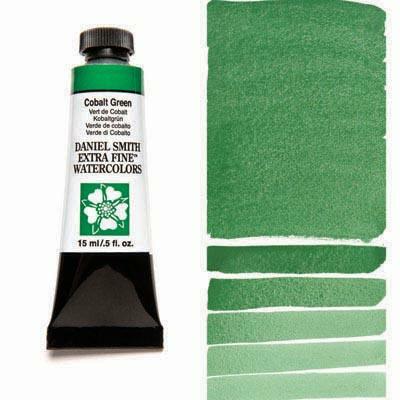 Its ability to create soft edges, to lift and to mix readily makes Cobalt Green a valuable contribution to watercolor palettes.